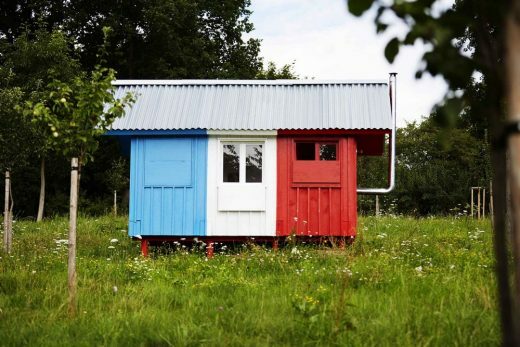 I would like to introduce you to our new prefabricated experimental pin-up tiny house, which I call „France“. 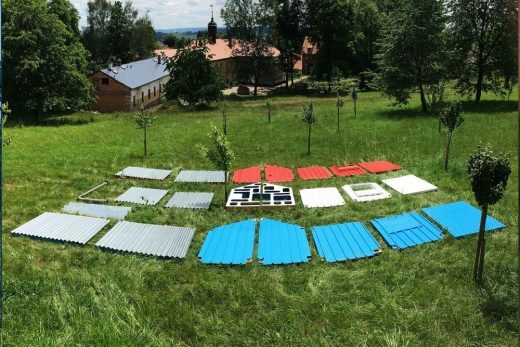 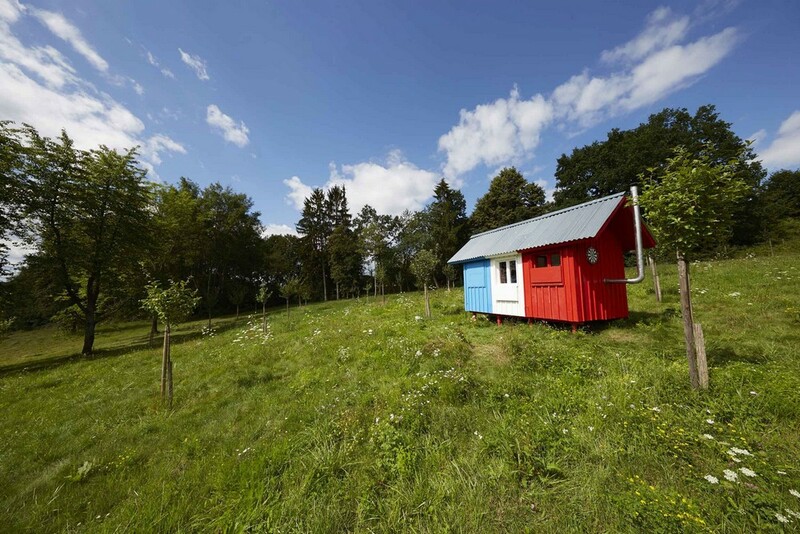 This tiny house consists of 21 insulated pannels. 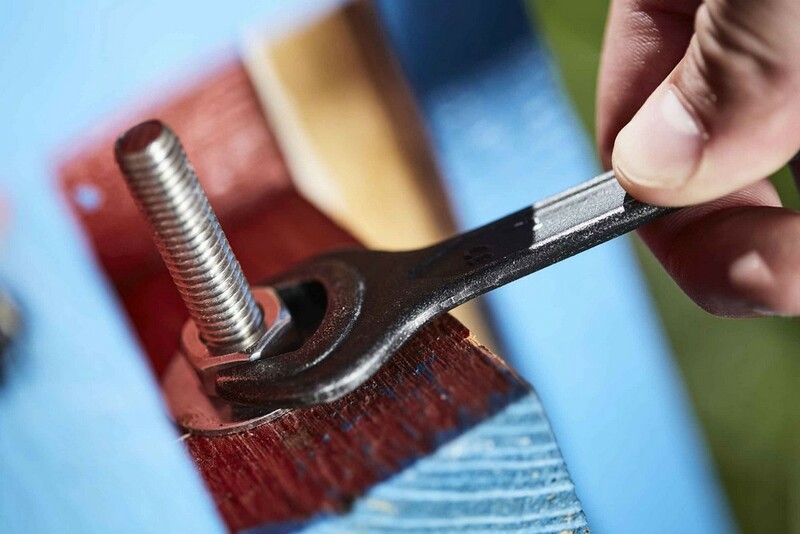 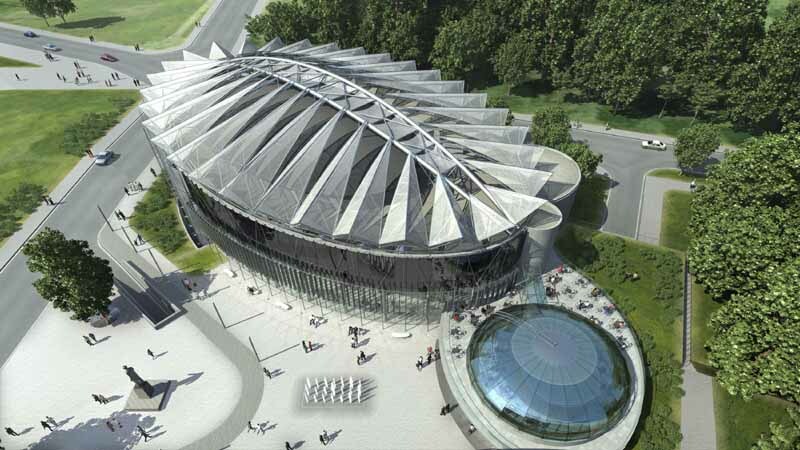 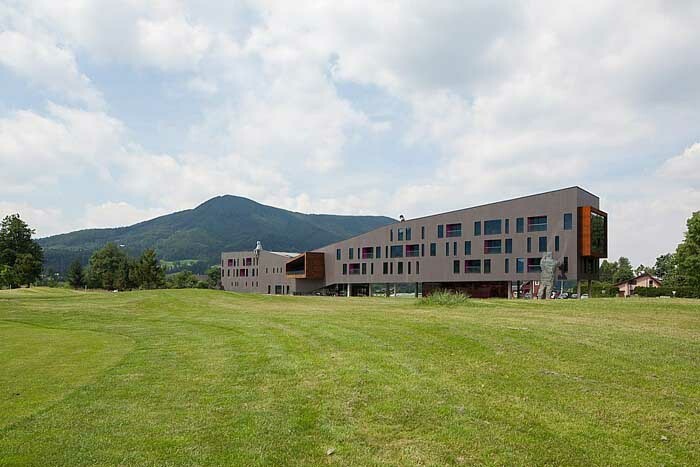 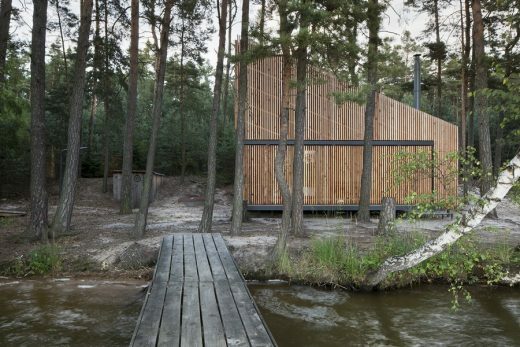 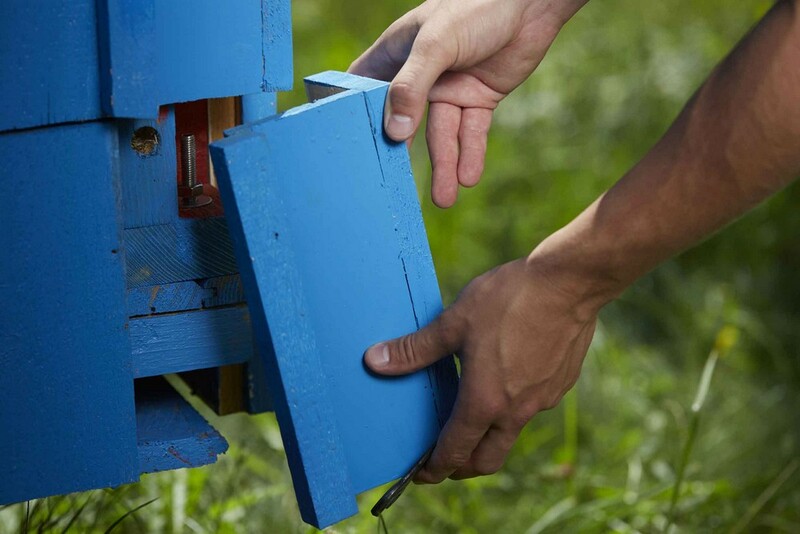 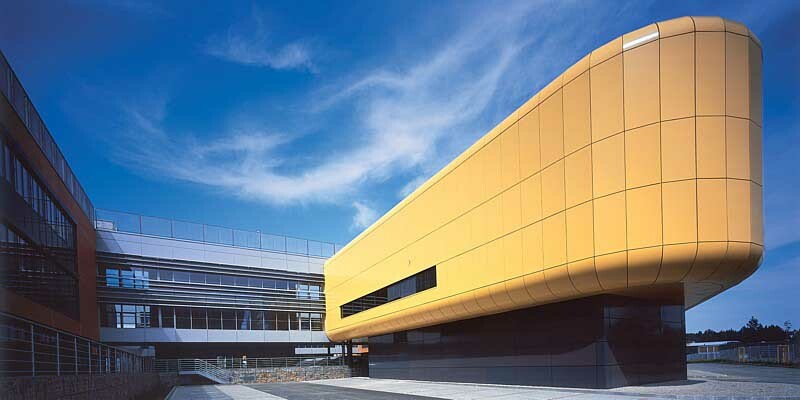 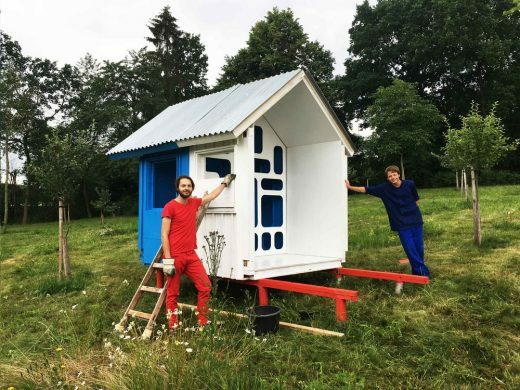 The separated pannels are connected together with threaded rods, so the house can be assembled and reassembled easily in just one day. 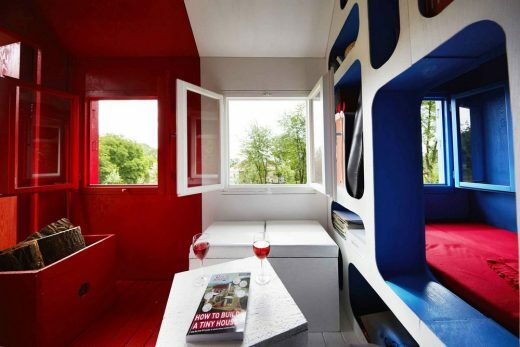 This tiny house is made up of three main spaces. 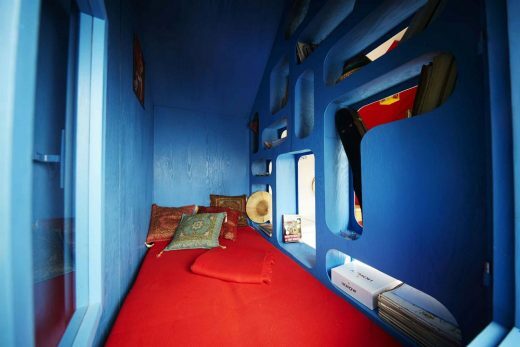 The blue space is for sleeping and is divided by a multifunctional partition, which simultaneously serves as shelves and an entrance to the bedroom. Psychologically, the color blue is the most suitable for a good night´s sleep. 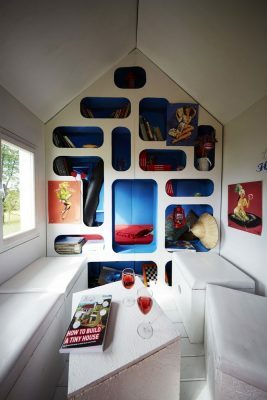 The white-colored space serves as the day zone with multifunctional seats and a table. 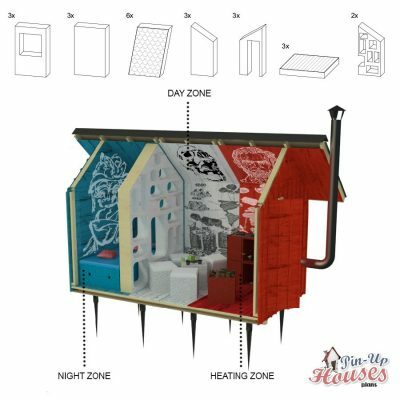 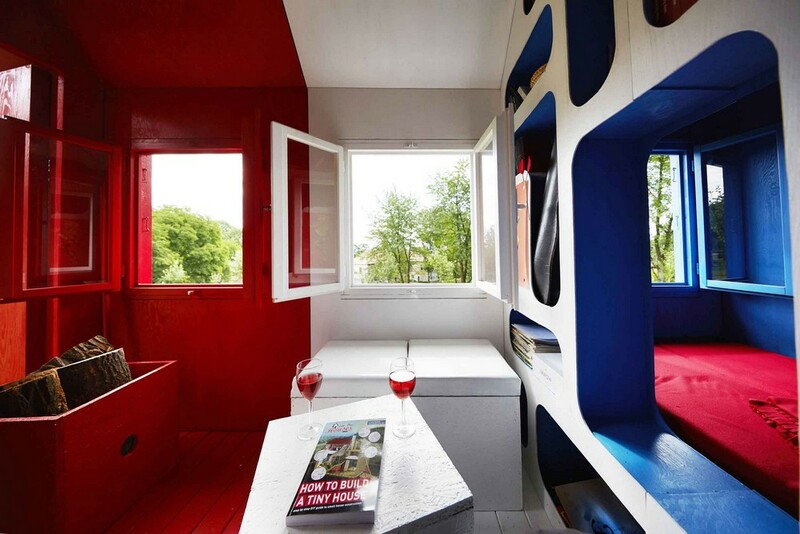 While the wood-burning stove and kitchenette are approprately found in the red space. 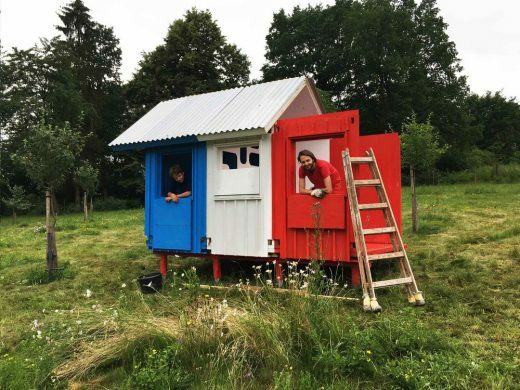 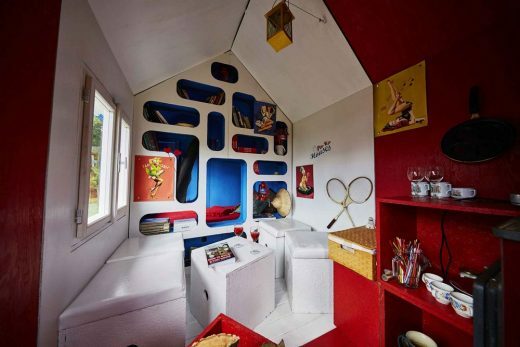 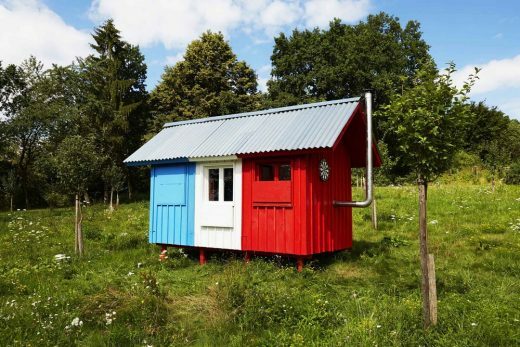 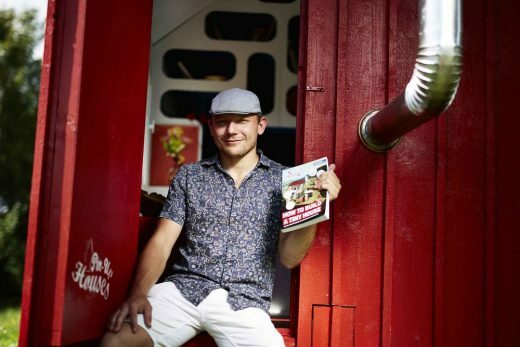 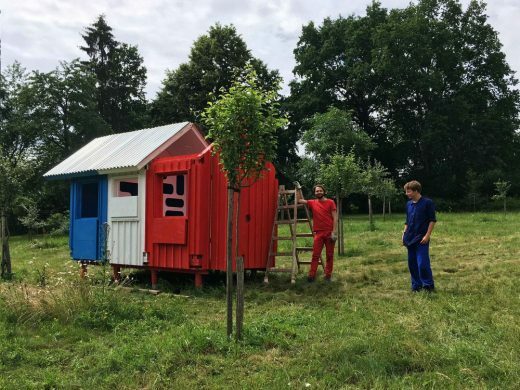 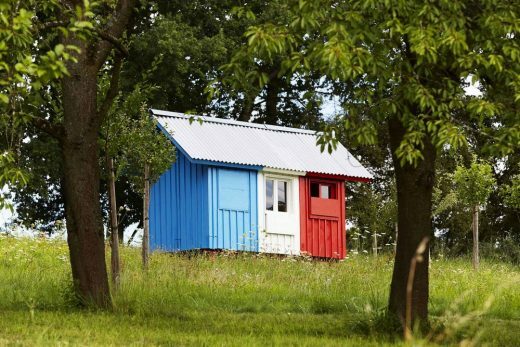 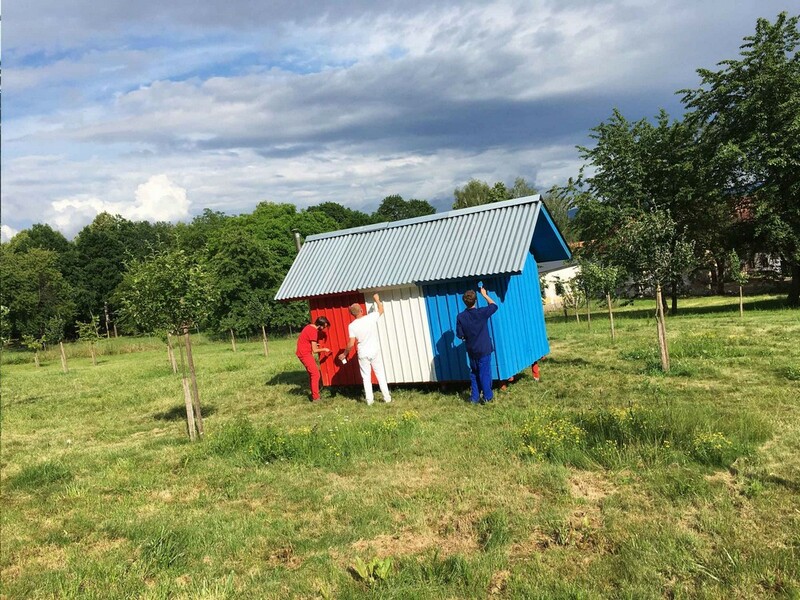 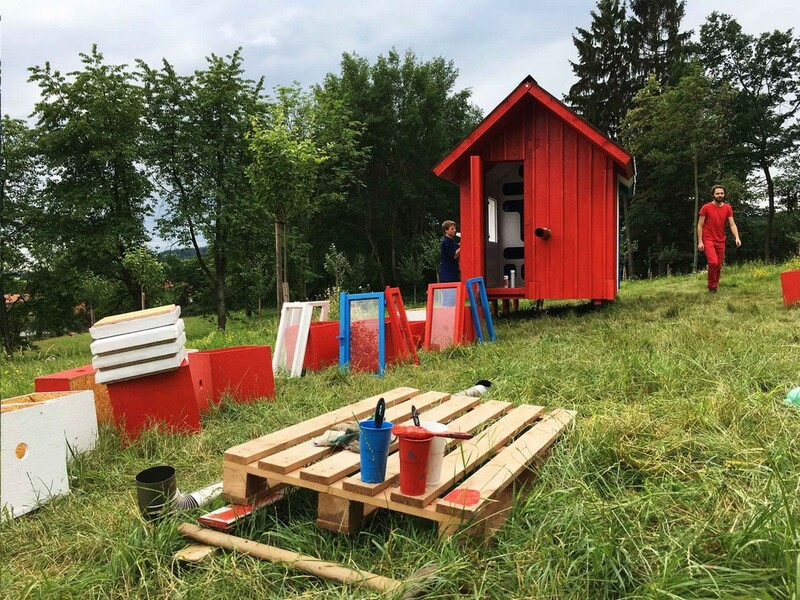 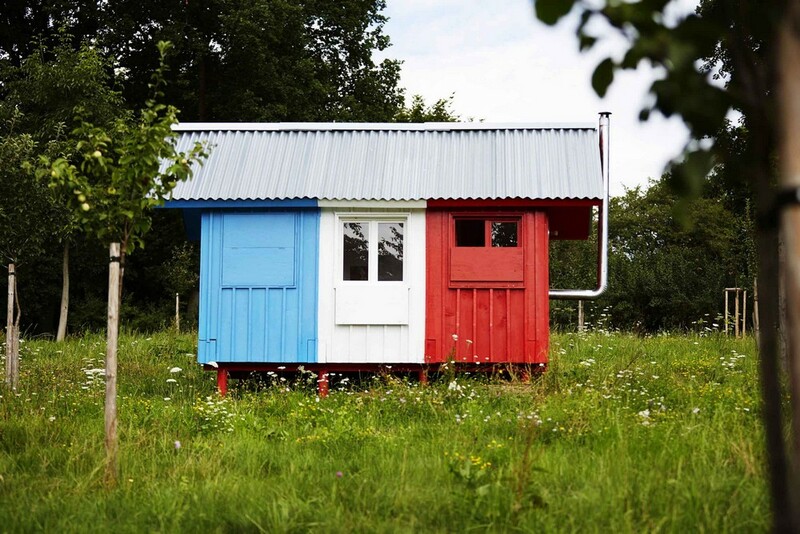 There you have it, blue, white and red; the colors of the French flag and the color-coordnated spaces found in this unique Tiny House, „France“. 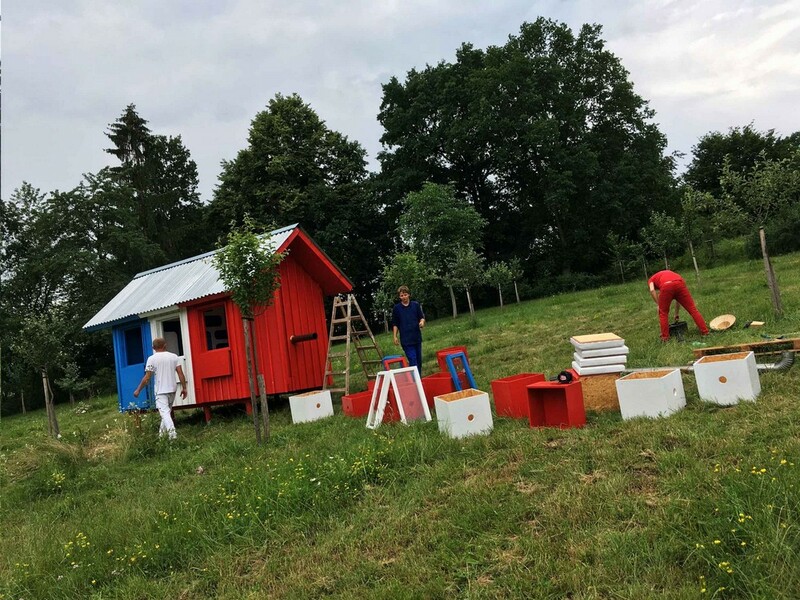 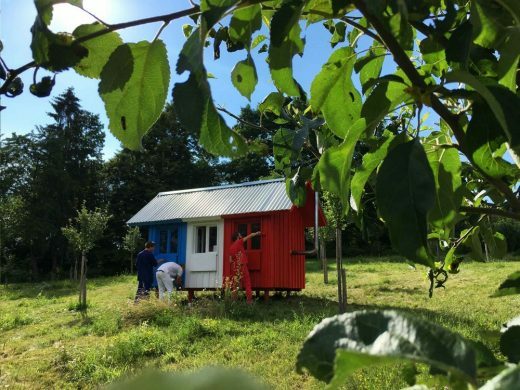 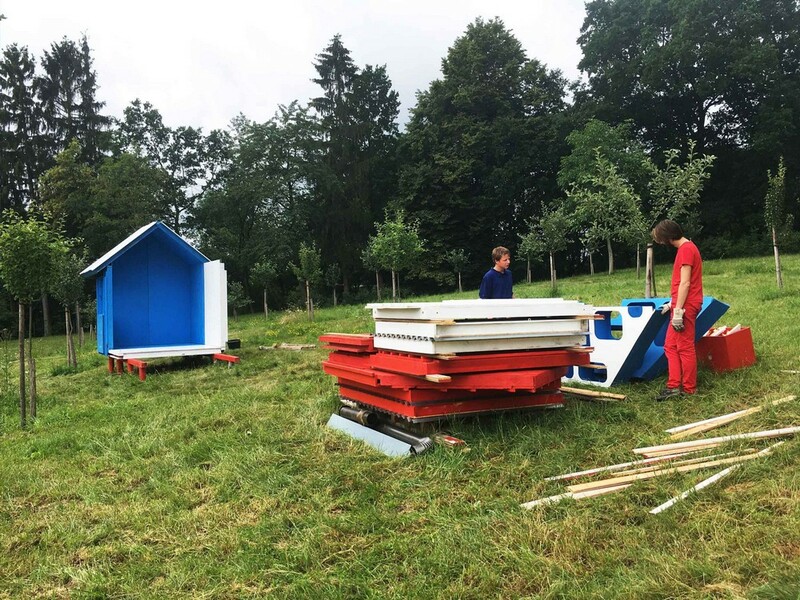 The prefab tiny house France is the prototype which is part of our ongoing research into the feasibility of mass-produced prefabricated tiny houses. 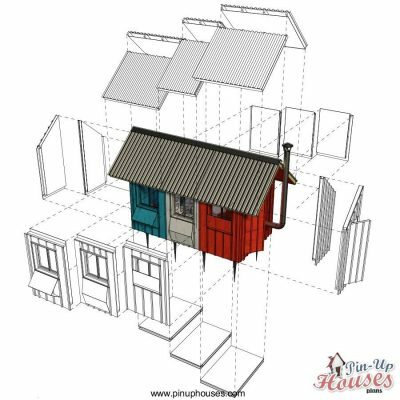 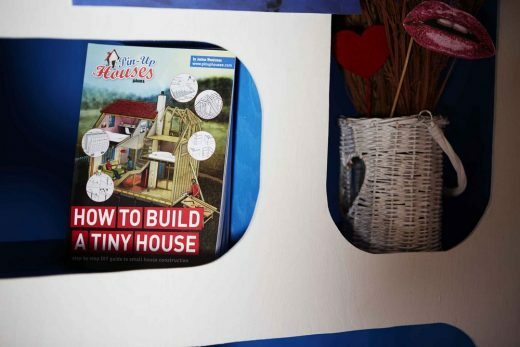 This concept is based on our long-term experience with tiny house construction, creating easy to follow plans and books for DIY constructors.